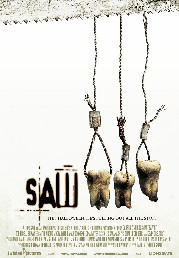 To a great extent Saw is one of the movie franchises responsible for mainstream torture horror’s resurgence. But what sets this highly successful series apart form the others is the fact that there is a bit more creative (yet brutal) thought put into the various traumatic set-pieces of people placed in deadly situations where their actions can lead to their freedom or demise. The 2nd Saw ended with the terminally ill title character Jigsaw left for dead in the van, and Donny Wahlberg’s cop trapped in the original room of the first movie - Amanda (the only survivor in the first film) actually in cahoots with our not quite serial killer. I say “not quite”, because he never actually kills anyone directly, although he places them in perilous situations which could lead to their deaths (as a lesson for their lacking respect for life – life of which he has been robbed). In a critical condition, the game takes another swing. Amanda is also becoming more mentally fragile. A female doctor is captured and booby-trapped. She has to keep the fading Jigsaw alive or she dies. Concurrently a man whose kid was killed by a drunk driver is put through a series of punishing tests, yet, not physically. More victims are also investigated by the still missing cop’s partner. As sufficiently drab, de-saturated and bloody as always, the story is deliciously convoluted with some great tie-ins and surprises – but, there are far too many of the overused flash cuts coupled with percussive sound effects and the cheap loud audio scare. 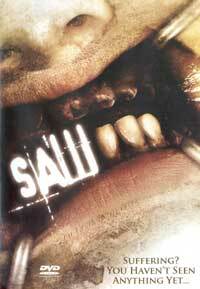 While a lover of all things horror, there comes a time when overload sets in, and as I’ve said before, in 2007 the sadistic tormenting themes are becoming as stale as the blood soaked floors in these movies. The audience is becoming desensitized, and with real life decapitations on the internet from the Middle-East, how much more do we need? We may sometimes wonder where entertainment begins and irresponsibility ends, especially if victims get done in such slick, cool and inventive ways.